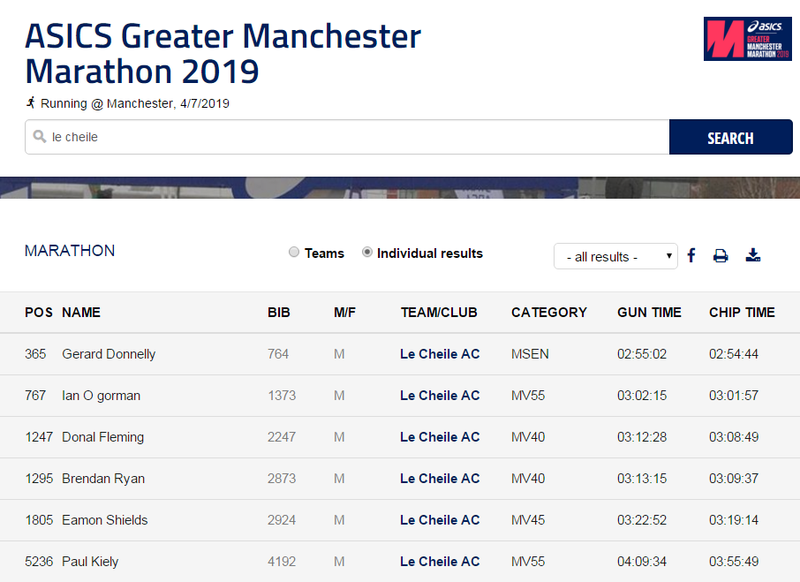 A massive congratulations to all the Le Chéile gang who took part in the Greater Manchester marathon on Sunday. Well done to Ger Donnelly who improved his PB to 2:54. Also well done to Ian O’Gorman, Donal Fleming, Brendan Ryan, Eamon Shiels and Paul Kiely.